I heard the head of a London bus company on the radio this week saying that cycle lanes should be de-segregated because they were only used during the morning and evening rush hours. He should have a look at the bus occupancy on the south side of Trafalgar Square. The number of passengers could be fitted into one or two bike rickshaws. The only busy buses are the tourist buses. The clips were taken on a sunny day (5th October 2018). They’re not so easy to photograph but if you look at the buses in The Strand outside rush hour the occupancy is similar and the conditions for cyclists are worse than vile. The mid-day buses in Oxford Street have a higher occupancy, because it is a shopping street, but it is well under 50%. 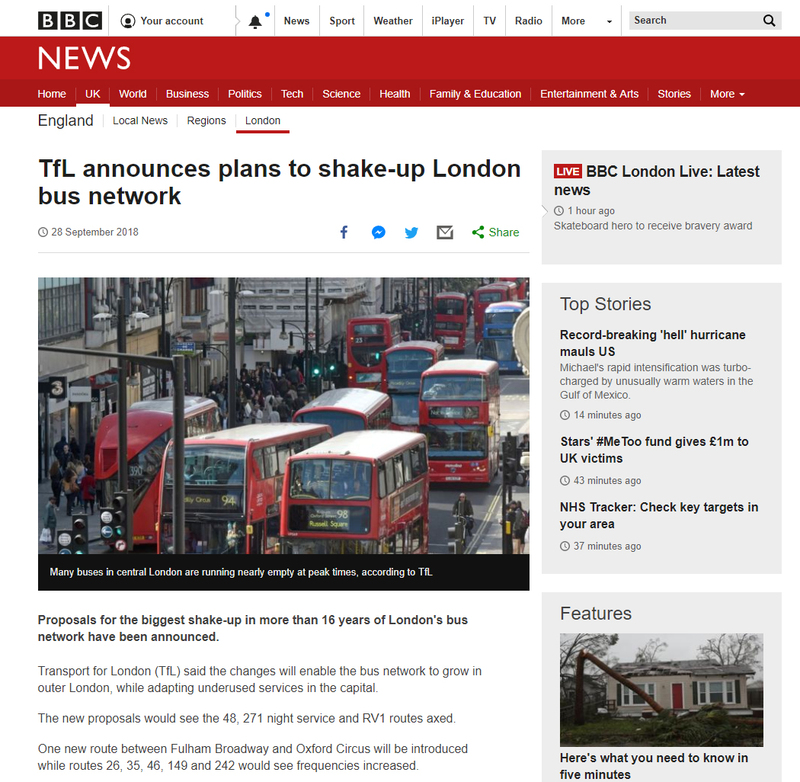 So TfL is 100% right to reduce the number of buses in Central London and the London Cycling Campaign is right that the space should be allocated to cyclists and pedestrians. Busy buses make a good contribution to mass transit in London. But at quiet times, empty cycle lanes are much better than empty buses. Cycle lanes don’t waste fuel, make no noise and cause no pollution. Empty buses do all these things.